I very much regret to have to criticize Obama, knowing that there are in that country other could-be presidents worse than he. I am aware that that office in the United States is today a major headache. The best example of this is the report in yesterday’s edition of Granma that 237 US members of Congress, or 44%, are millionaires. This does not mean that every one of them is an incorrigible reactionary but it is extremely difficult for them to feel like the many million Americans who do not have access to medical care, who are unemployed or who need to work very hard to earn their living. Of course, Obama himself is no beggar; he has millions of dollars. He excelled as a professional and his command of language, his eloquence and intellect are unquestionable. Also, he was elected president despite his being an African American, a first time occurrence in the history of his country’s racist society, which is enduring a profound international economic crisis of its own making. This is not about being "an anti-American" as the system and its huge media intend to label its adversaries. The American people are not the culprits but rather the victims of a system that is not only unsustainable but worse still: it is incompatible with the life of humanity. The smart and rebellious Obama who suffered humiliation and racism in his childhood and youth understands this, but the Obama educated by the system and committed to it and to the methods that took him to the US presidency cannot resist the temptation to pressure, to threaten and even to deceive others. He is a workaholic. Perhaps no other American president would dare to engage in such an intense program as he intends to carry out in the next eight days. According to plan, he will take an extensive tour of Alaska where he intends to address the troops stationed there. He will be visiting Japan, Singapore, the People’s Republic of China and South Korea. He will attend the Asia-Pacific Economic Cooperation forum (APEC) and that of the Association of South East Asian Nations (ASEAN). He will hold talks with the Prime Minister of Japan and His Majesty Emperor Akihito in the land of the Rising Sun as well as with the prime ministers of Singapore and South Korea and the presidents of Indonesia Susilo Bambang, of Russia Dimitri Medvedev and of the People’s Republic of China Hu Jintao. He will be making speeches and giving press conferences. He will be carrying with him his nuclear briefcase, which we hope he will have no need to use during his hasty tour. His National Security advisor has said that Obama will discuss with the president of Russia the continuance of the START-1 Treaty set to expire on December 5, 2009. There is no doubt that some reductions of the enormous nuclear arsenal will be agreed upon, albeit this will be of no consequence to world peace and economy. What is our distinguished friend planning to discuss during his intense journey? The White House has made its solemn announcement: climate change and economic recovery; nuclear disarmament and the Afghan war; and, the risks of war in Iran and in the People’s Democratic Republic of Korea. There is plenty of material to produce a science fiction book. For, how can Obama unravel the problems of climate change when the position of his representatives during the preparatory meetings of the Copenhagen Summit on the greenhouse effect gas emissions was the worst among those of the industrialized and rich nations, both in Bangkok and Barcelona, because the United States chose not to sign the Kyoto Protocol and the oligarchy of that country is not willing to really cooperate. How can he contribute to the solution of the grave economic problems afflicting a large part of humanity when at the end of 2008 the total debt of the United States Âincluding that of the federal, state and local administrations, the businesses and familiesÂamounted to 57 trillion dollars, that is, over 400% of its GDP, and that country’s budget deficit reached almost 13% of its GDP in fiscal year 2009, an information that Obama is certainly aware of. What can he offer Hu Jintao when his openly protectionist policies have been aimed against the Chinese exports and he is demanding at all costs that the Chinese government revaluates theÂ yuan, an action that would adversely impact on the growing Third World imports from China? The Brazilian theologian Leonardo Boff, who is not a disciple of Karl Marx but an honest Catholic among others who are not willing to cooperate with the imperialism in Latin America, has recently said that "….we are risking our destruction and the devastation of life’s diversity." "[…] almost half of humanity is living today under the poverty line. The wealthiest 20% are consuming 82.49% of all of the riches on Earth while the poorest 20% are living on a tiny 1.6%." He also quotes the FAO as he warns that "…there will be in the upcoming years from 150 to 200 million climate refugees." And then he adds that "humanity is consuming today a 30% above the regenerating capacity…the planet is giving unmistakable signs that it can stand it no more." What he says is true, but Obama and the US Congress have yet to find out. What is he leaving to us in the hemisphere? The shameful problem in Honduras and the annexation of Colombia where the United States will set up seven military bases. 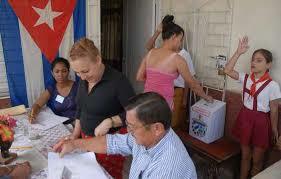 They also established a military base in Cuba more than one-hundred years ago and remain there by force. It was in that base where they installed the horrible torture center widely known around the world; the same that Obama has been unable to close, yet. I hold the view that before Obama completes his term there will be from six to eight right-wing governments in Latin America that will be allies of the empire. Likewise, the US extreme right will try to limit his administration to one term. Once again there will be a Nixon, a Bush or the like of a Cheney in the White House. Then, the meaning will be clear of those absolutely unjustifiable bases threatening today the South American peoples with the pretext of fighting drug-trafficking, a problem created by the tens of billions of dollars that organized crime and the production of drugs in Latin America receive from the United States. Cuba has shown it only takes justice and social development to fight drugs. In our country, the crime rate per 100,000 people is one of the lowest in the world. No other country in the hemisphere can exhibit such low rates of violence. It is known that, despite the blockade, no other country can boast our high education levels. Obama’s trip seems a science fiction story. U.S. 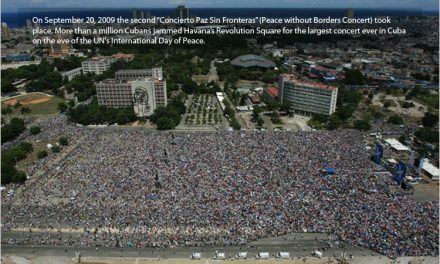 Aggression & Propaganda Against Cuba: Why the Unrelieved U.S. Antagonism Toward Cuba? A History Worthy of Pride Anniversary of Cuban Aid to Angola Whither Cuba?